6mm x 19.92mm / 0.236in. x 0.784in. 3 Dimensional Meat Cleaver Charm. 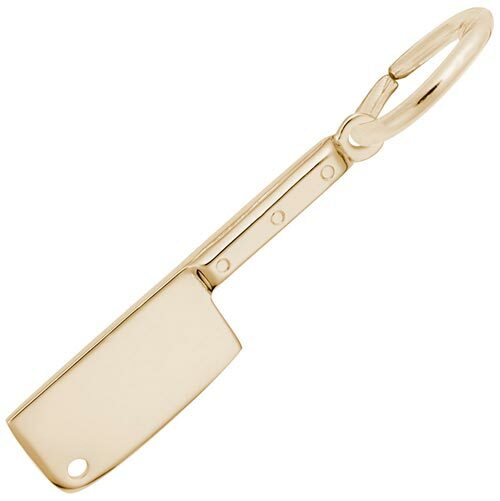 If your a butcher by profession or you just love to cook, show it off with the Meat Cleaver Charm. This charm piece is available in silver and gold.